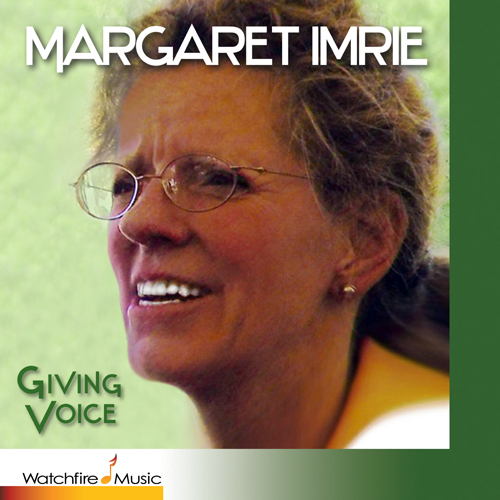 Giving Voice presents hymns and inspirational songs by soloist Margaret Imrie. The healing hymns may be familiar but Margaret’s delivery is compelling, achieving “the delicate balance she finds between conveying the emotions of the music and her clear, precise diction,” writes Met tenor great James McCracken. Still that Word of God is here. Speaks to every listening ear. We may know Thee and be free. Guard and guide us every hour. All true being one with Thee. Music and lyrics: Stephanie Newsom. Seeing the sick rise up from bed. Music and lyrics © Copyright 2015, Stephanie Newsom. Copyright 2015, Stephanie Newsom. Words, music, and accompaniment by pianist Stephanie Newsom, Chicago, 2005, used with permission.